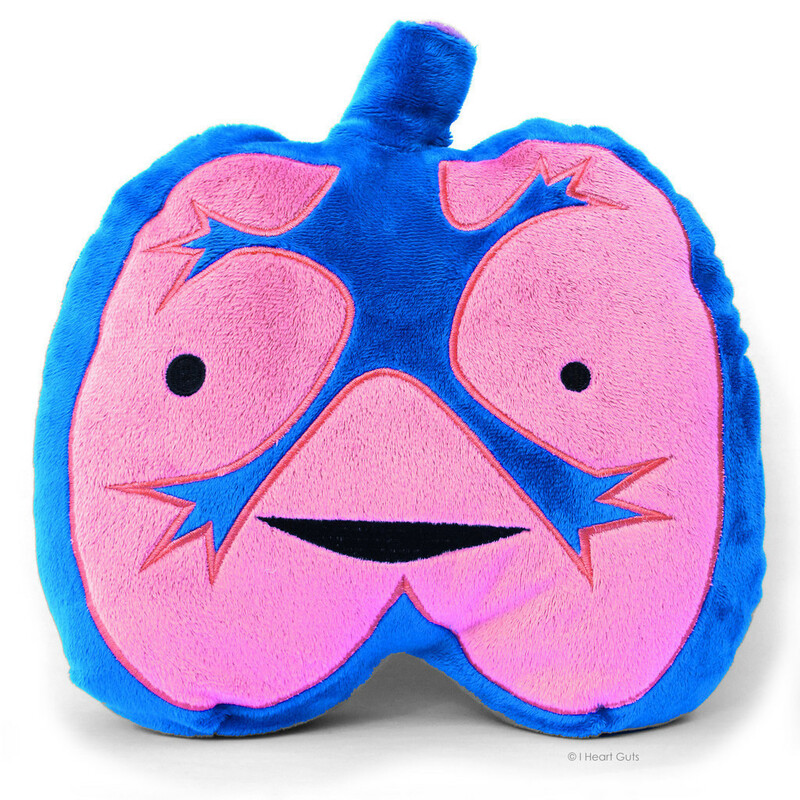 This adorable, super-soft, gigantic 11" x 10" x 4" plush lung is perfect for cuddlin', and makes a great gift for someone who can't stop talking, singing, or anyone who needs some extra breathing power. Lungs bring fresh oxygen into our bodies, removing carbon dioxide and other gas waste products so we can breathe easy. Next time you inhale, give thanks to these powerful windbags. Comes with an educational hangtag mini-book filled with info about this inspiring organ.